The brewery tour started at Goldmalt at nr 17 Van Phuc after a 5 min walk from the Swedish embassy in Hanoi. Goldmalts manager greeted us all and showed us the brewing equipment which they have visible by the entrance. 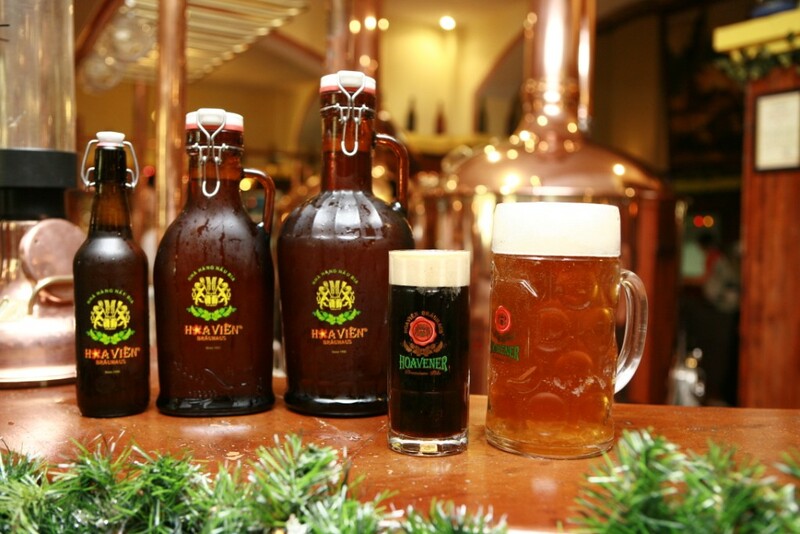 According to international standards, this Goldmalt brewpub is a Nanobrewery, smaller than a microbrewery with 300 liters beer tanks and serving about 100 liter of beer daily. 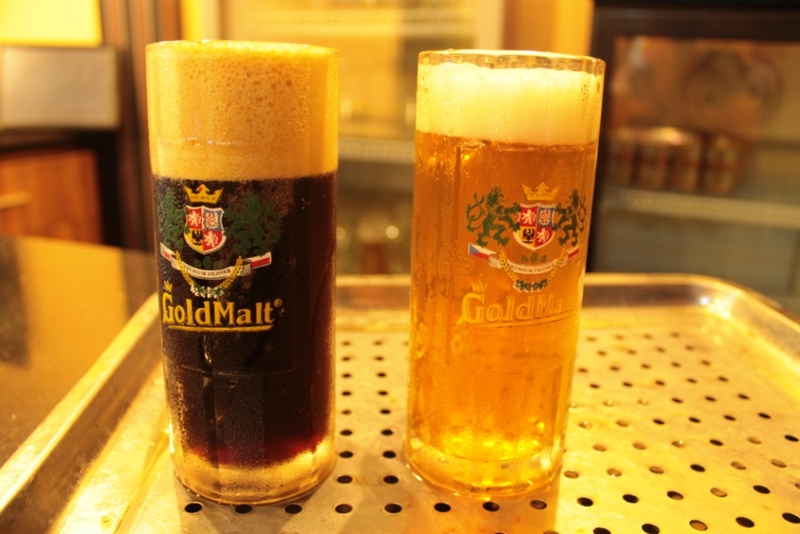 Goldmalt has a black and a blond beer, both are a bit heavy and full of taste. The black beer is really black like a stout and has a clear note of chocolate and a small taste of burnt sugar. Goldmalt has three floors and its the youngest Goldmalt with less than one year at this address. The beer has been improved the latest 4-5 month and is now really full-bodied and tasteful, about 5% strong. 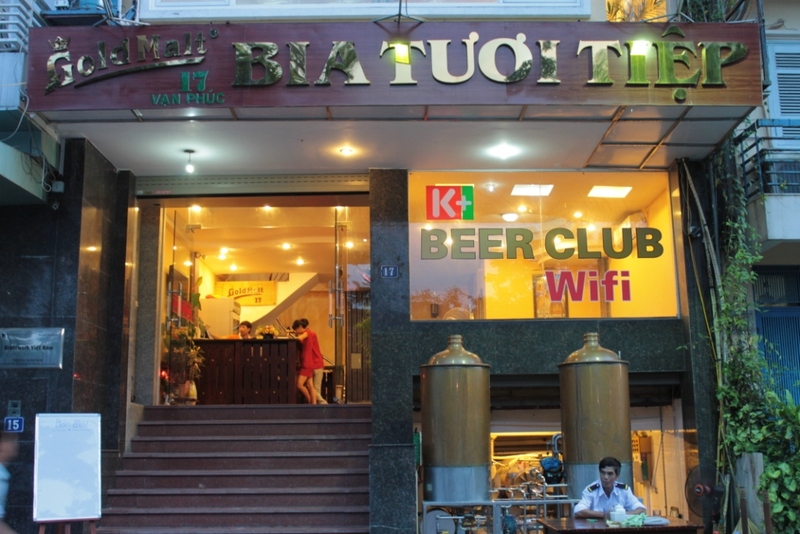 Next stop was supposed to be the German brewery Cientos but after realizing that the driver had been only three months in Hanoi and had no clue how to drive, we changed course to from a german brewery to another; Legend beer at Big C shopping center which is easy to find from Goldmalt. We got surprised that they had three beers tap. Lager, dunkel and munich, all quite light and among us 13 the munich beer was the most popular. They were all below 5% and maybe closer to 4%. Just to confuse you all. 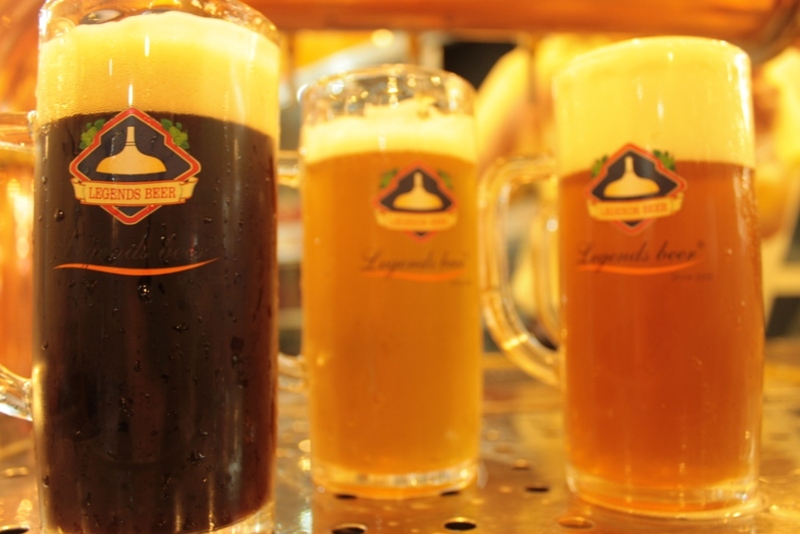 Here is also a picture (left) from the beer from another legend beer restaurant, both taste and colour are different between these two restaurants. 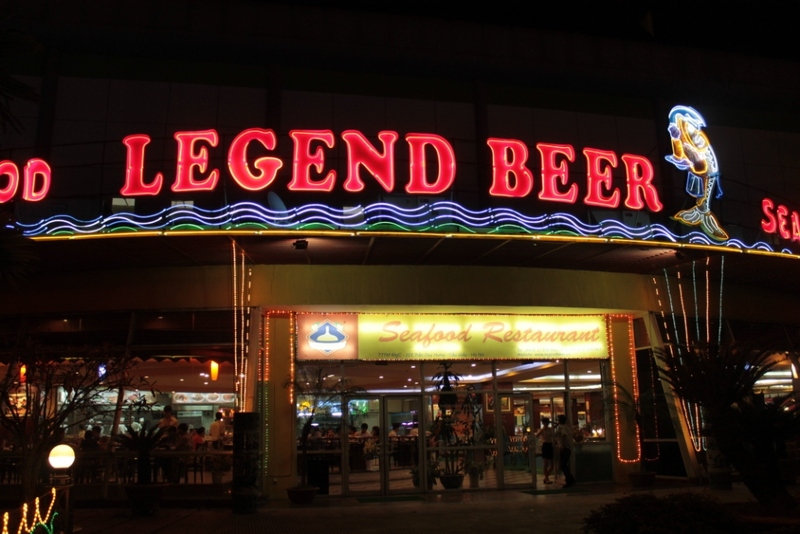 This picture is taken from Legend beer at nr 4 Vu ngoc pham which is the most famous Legend beer because they had a german brewmaster for many years. 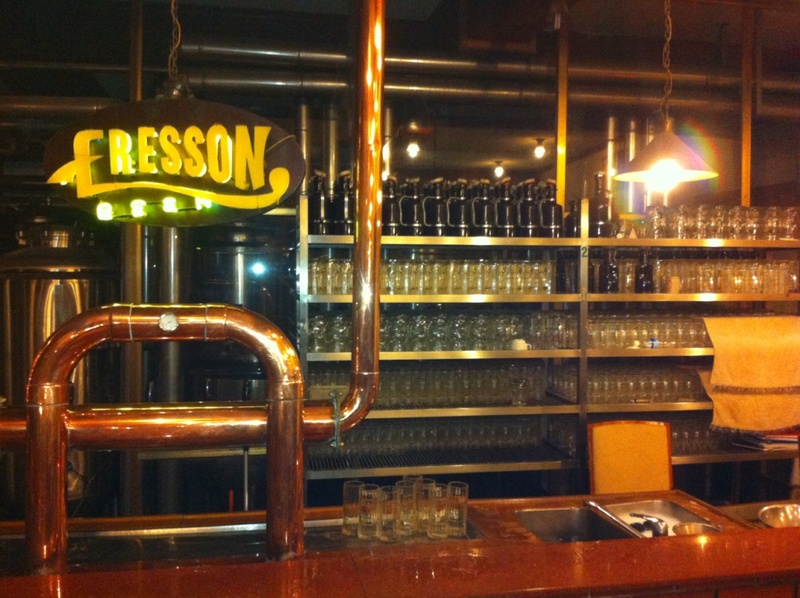 After changing the driver we drove to Eresson brewery 2 km away. Also they had three beers on tap and the names was blond, dark and aroma. This is unusual in all the brewpubs within the city center, most breweries there have only 2 beers. Here, a long drive from the city center it seemed like all had much more to offer. Aroma beer really stood out with a grapefruits bitterness in the end and some sweet fruit in it also. The blond beer was very popular and some of the staff had the typical dresses looking like the these red ones that normally is found in Bayern and southern Germany. The service at Eresson was quick and good but no English skills among the staff. The manager at Hoa vien was waiting for us so we made the visit at Eresson shorter and we drove the 20 minutes to Hoa Vien for some fried cheese, french fries and Czech beers. They have golden and black beer but also a third beer which they serve in 1 or 2 L bottles. The black beer had notes of coffee and chocolate, really reminding of many chocolate tasting stouts abroad. We got a tour around their brewery equipment and down in the cold storage there we could se all the pipes that brings the good beer from the brewery tanks up to the taps and us thirsty customers. 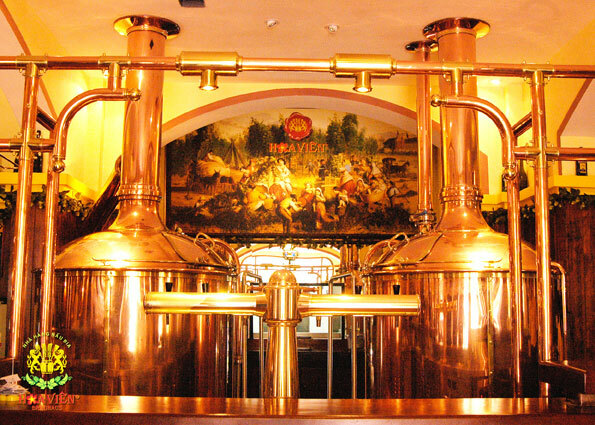 Hoa vien is the biggest microbrewery in Hanoi and brew their beer in 3000 L tanks. 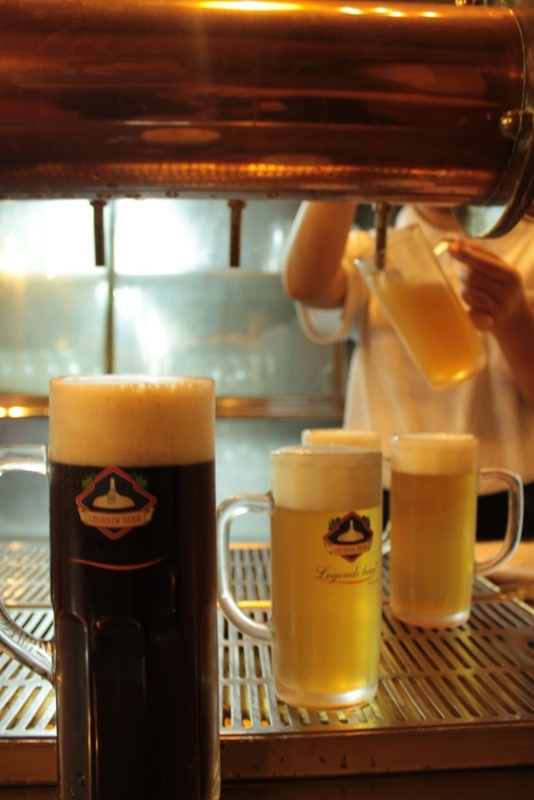 We started with one of the smallest in Hanoi and ended up at Hoa vien that still is small compared to interantional breweries with an estimated annual production of one million liters or less. 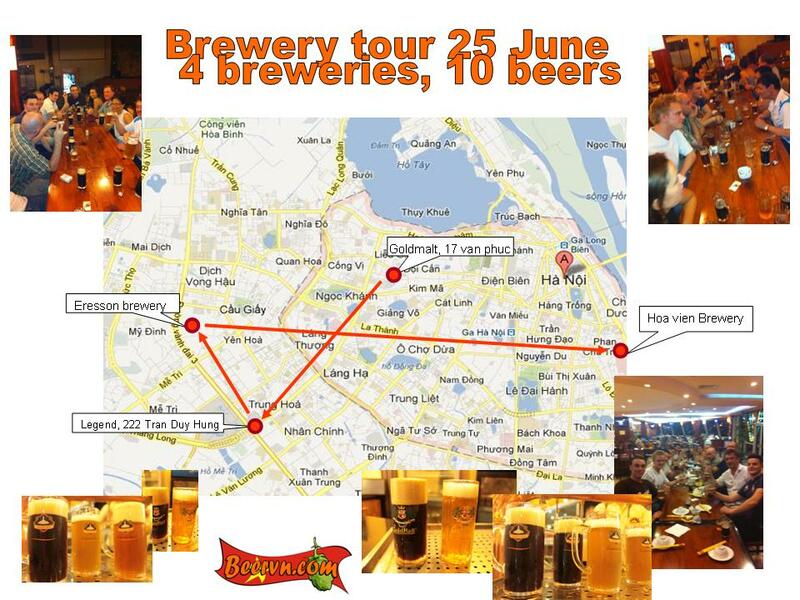 This entry was posted in Activities and news and tagged beer hanoi, beer tasting hanoi, beer tours, brewery tours hanoi. Bookmark the permalink.